The Proverbs 31 (Virtuous) Woman Conclusion! I am so relived to have finally completed this study. If you have been following this study from the beginning, you could probably see that I had no idea where this was going to go. I honestly thought it would be a five part series; I didn’t realize it would take us over 3 months. 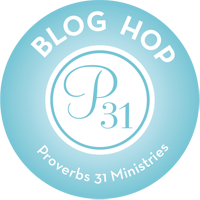 But I count it all good as I have personally … Continue reading The Proverbs 31 (Virtuous) Woman Conclusion! And They Will Call Her Blessed! I can hardly believe it my myself, but it looks like we are drawing very near the end of this study! Wow, what an enlightening journey it has been. Thank you for joining me. Proverbs 31:28-29 (NKJ): Her children rise up and call her blessed; Her husband also, and he praises her: 29 “Many daughters have done well, But you excel them all.” Her children … Continue reading And They Will Call Her Blessed!